During my Study Abroad semester in Paris, I am trying to take advantage of travel and culture on the weekends as part of my immersion experience. This past Saturday morning, I decided to take one of my “Impressionist Walks” around the Gare St. Lazare, the area where Monet, Manet, Renoir and Caillebotte lived and painted. The railway had opened up the world to Parisians and became the symbol of “modernity”during the late 1800’s. This is one reason you see so many Impressionists painting trains, train stations and bridges. During my walk, I visited 1) Pont de L’Europe the vantage point of Caillebotte, Manet and Monet while painting the Gare St. Lazare 2) the Place de L’Europe a few blocks away which was the inspiration for Caillebotte’s Paris Street: Rainy Day 3) Manet’s studio at rue de Rome where he painted Gare St-Lazare, 4) and one of Monet’s homes at 8 rue de l’Isly. 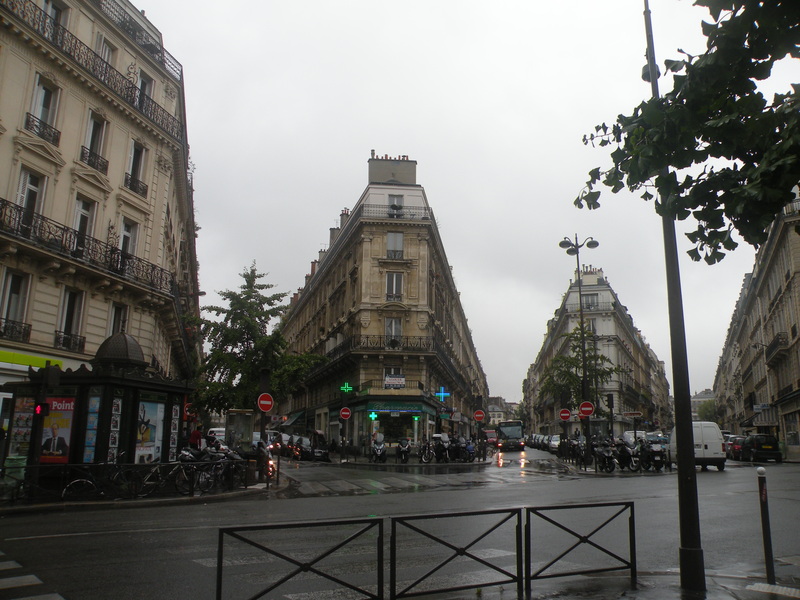 It was a perfect day for this walk as it was rainy and gray and therefore the streets and sidewalks were wet, reflecting the sky and the buildings just as Caillebotte captured in Paris Street. 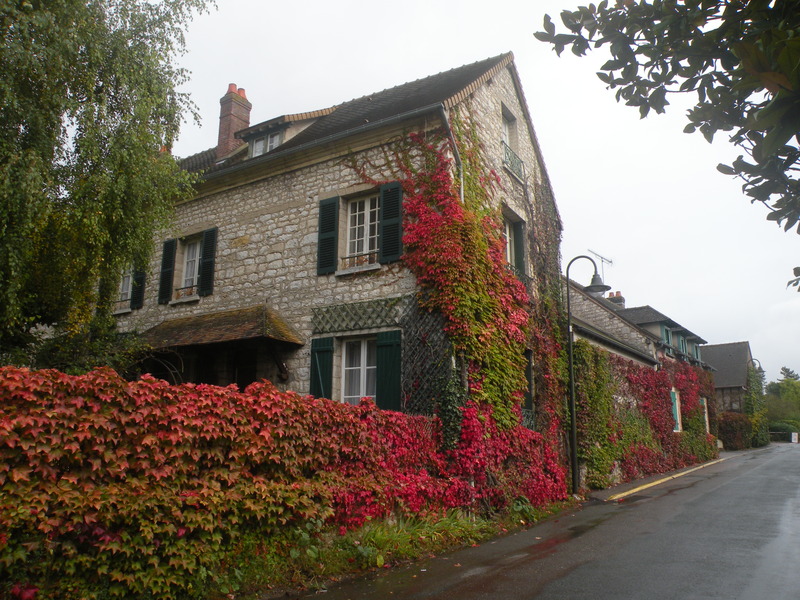 As I made my way back to the Gare St. Lazare, I decided to take a trip to Giverny to see Monet’s home and gardens as this was one of the last weekends before it closed for the winter. I caught the noon train to Vernon with a bus connection to Giverny and spent the rest of the day immersed in his world. It was more spectacular than I had imagined. 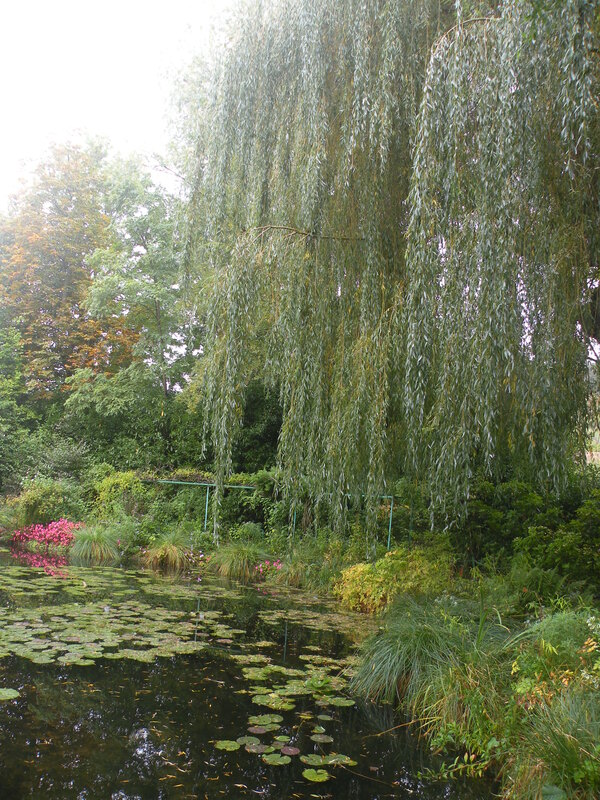 Monet lived and worked here for 40 years (1883-1926) and the Monet Foundation has done a great job maintaining the grounds so that one can still feel the atmosphere where Monet thrived and marvel at the floral compositions and nymphéas, his greatest sources of inspiration. As you tour the study in his home, you will see on display many of his original paintings and sketches and large windows that open up into his garden. On the other side of his garden lies the breathtaking water lily pond, just as you would imagine it to be; the water lilies in full bloom with yellow and purple blossoms, the weeping willow trees casting the dark shadows on the pond, and his fishing boats docked on the shore. I found a little bench near the Japanese bridge, dried a spot, worked on some homework and spent about two hours enjoying the peace and quiet of this tranquil paradise! On my way out, I stood on the bridge to make a mental picture of the pond. 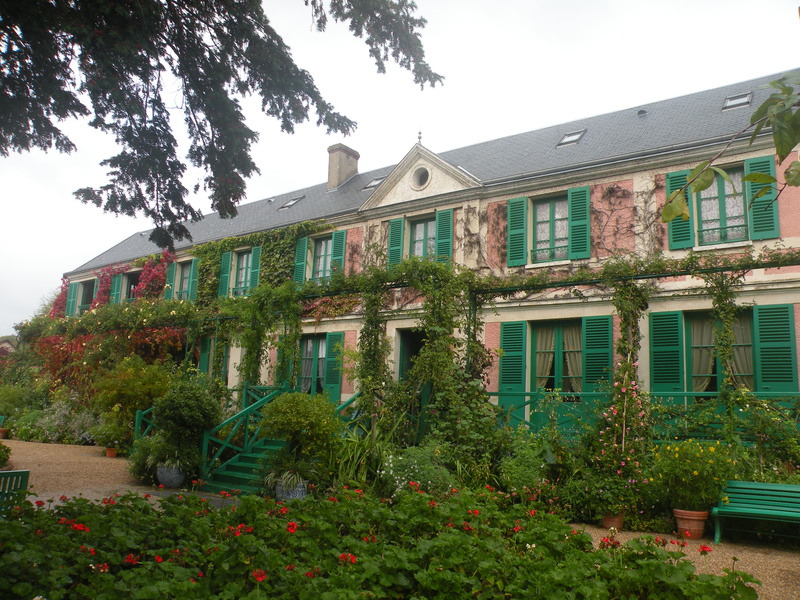 To complete my weekend with Monet, on Sunday after church, I visited the Musée Marmottan, which houses the largest collection of Monet’s paintings donated by his son Michel. As I stood in the large room filled with Monet’s paintings, I could see more clearly his translation of his natural world of beauty into the artificial world of painting. Many have criticized Monet’s work for being “muddled” or “blurry”. While it is true that if you stand close to his paintings you will just see a menagerie of colors, if you stand back the images come into focus. Monet spent many hours looking and painting, painting and looking to capture the exact “impression” as reflected through the different times of day and changing weather. As I reflected back on the mental picture of the pond, I could now see it again on his canvases! 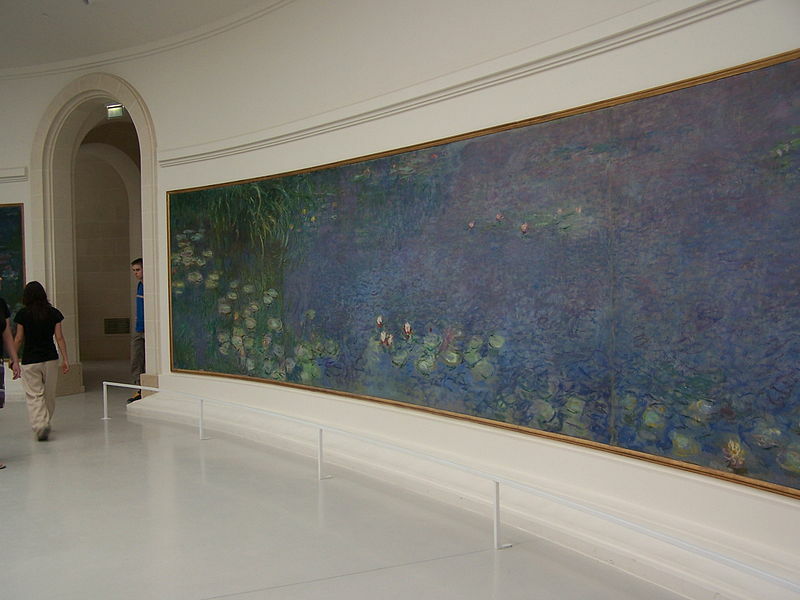 **Post Note: The Musee L’Orangerie in Paris houses the original canvases of Monet’s Waterlilies in two large oval rooms. Monet painted these canvases in 1922 to honor the soldiers who died in the first World War. Reblogged this on Love & Lead.